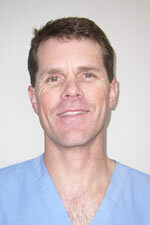 Dr. Bocko was raised in a friendly, small community in San Diego, California. Prior to his medical training, he attended SanDiego State University graduating with a Bachelor of Science degree in Biology. Subsequently, he attended the California College of Podiatric Medicine in San Francisco and graduated with his Doctor of Podiatric Medicine (D.P.M.) in May of 1994. Dr. Bocko then completed a three year residency at Stanford University Medical Center and the Department of Veterans Affairs Medical Center in Palo Alto, California. His residency focused on medicine and surgery of the foot and ankle, with emphasis on reconstructive rear-foot and ankle surgery. During his final year of surgical residency, he had the distinction of being appointed chief resident of his program at Stanford. After completing his surgical residency, Dr. Bocko then completed a year long Fellowship in Sports Medicine and Surgery at Sports, Orthopedic, and Rehabilitation Medicine Associates (S.O.A.R) in Menlo Park, California. During this intense year, he had the opportunity to work with both collegiate and professional athletes in the Bay Area. He has published numerous articles in several podiatric and sports medicine journals which were the result of much research during his residency and fellowship. In addition, Dr. Bocko has been the author of chapters in several text books. Dr. Bocko is Board Certified in foot surgery by the American Board of Podiatric Surgery and has surgical privileges at several area hospitals. He enjoys meeting and treating all types of patients, but has special interest in seeing athletes and children, as well as in geriatric medicine and arthritis of the foot and ankle. Dr. Bocko opened Chapel Hill Foot and Ankle Associates, P.A. in May of 1993 after working in other private practices in the Chapel Hill, Durham, and Wake Forest areas. He has been in practice in the Chapel Hill area since late 1998, and very much enjoys the lifestyle and people in this eclectic college town. Dr. Bocko has been an avid athlete all his life, and enjoys running, mountain biking, hiking, and basketball on a regular basis. He lives in Chapel Hill with his wife and two daughters. To learn more about Dr. Boko, view his Curriculum Vitae.